Looking for a toy hauler travel trailer that’s affordable, easy to tow, and chock full of features, but doesn’t break the bank? Look no further than the impressive Keystone Impact. This RV promises you a delightful experience wherever the road might take you. 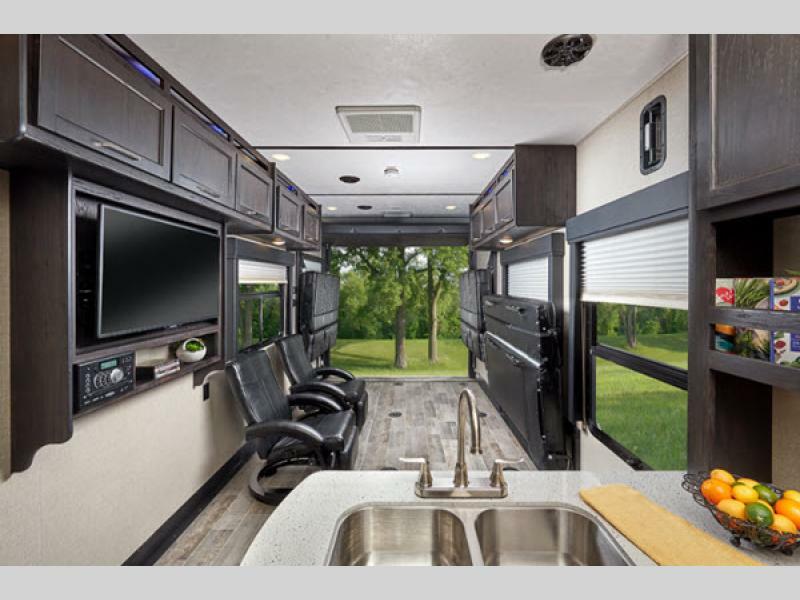 From a fabulous bedroom to a huge kitchen, you’re sure to love every minute spent in this RV. Learn more in our Keystone Impact toy hauler review. You’ll love cooking in this spacious, well equipped kitchen that promises you everything you need and then some. 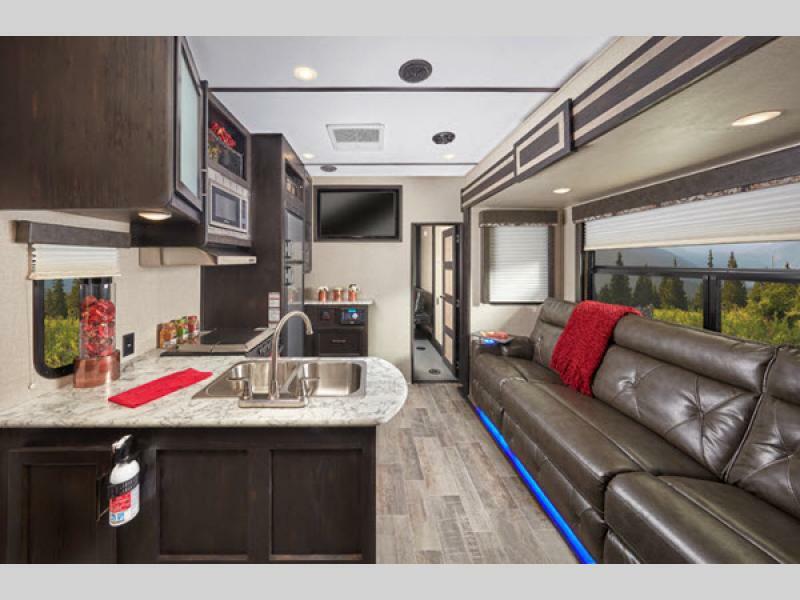 A spacious kitchen is a must have for anyone serious about spending some time on the road. You want to cook great meals, without feeling cramped and the Impact’s kitchen allows you to do that. From tons of storage to an expansive countertop, everything you need is at your fingertips in this kitchen available in every Impact floorplan. Bunks offer the perfect space for the kids to get some rest or unwind at the end of the day without waking mom and dad. 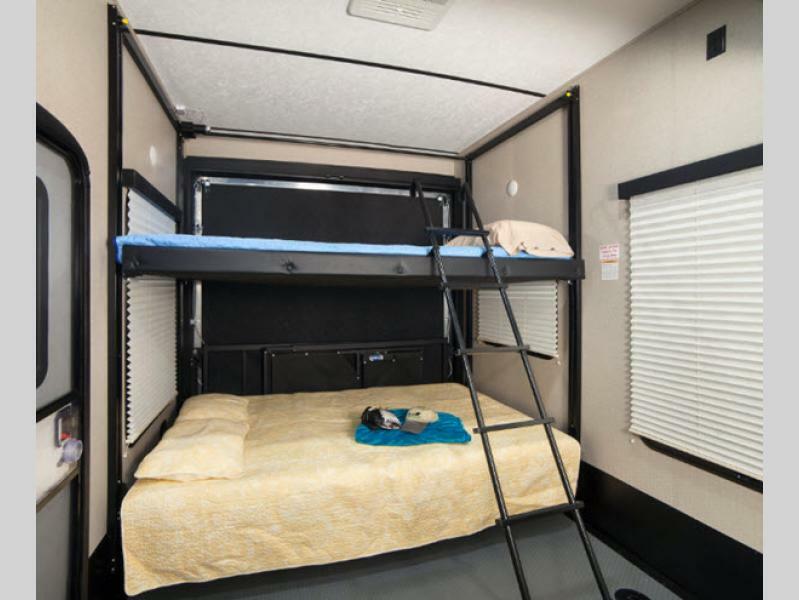 This space was made to accommodate busy families, which is why you’re sure to love the bunks. These dual electric beds with collapsible rollover sofas price a place to relax at the end of the day, but don’t take up room if you don’t want them to. A large living area means the entire family can get together and make memories without feeling like they’re stepping on each other’s toes. Spending time with family is that much more enjoyable when you’re in a living area that is welcoming to all. Whether you’re staying in because of weather or just hanging back and relaxing, you’re sure to appreciate how this space is laid out to offer you comfort and fun. If you’re interested in learning more about our selection of Impact toy hauler travel trailers for sale, contact us. We can answer any questions you have and make sure you’ve got the information needed to make the right decision for your family’s needs. Did you miss the Colorado RV show?